Banking on our enriched industry experience, we are able to supply Cordyceps Militaris. High Fruiting body producing strain of Cordycep militaris.Heat tolerance up to 25 degree Celsius. We are highly acknowledged organization engaged in presenting a remarkable range of Cordyceps Militaris Mushroom. Cordyceps militaris is a potential harbour of bio-metabolites for herbal supplements and evidences are available about its applications for revitalization of various systems of the body from ancient times. Amongst all the species, C. militaris is considered as the oldest source of some useful chemical constituents. Good quality tissue culture, with level of 8.5 fruiting bodies. 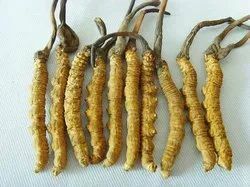 We manufacture best quality Cordyceps Militaris with high cordycepin value at our lab. 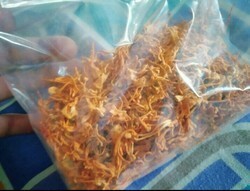 We are amongst the most reputed names in the industry, offering Dried Cordyceps Militaris.